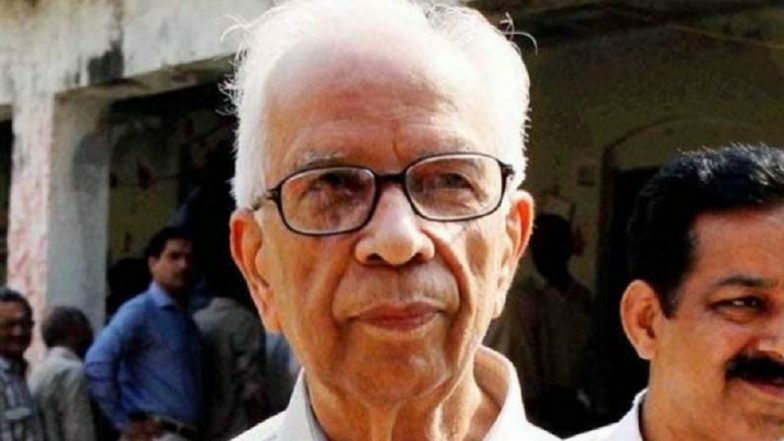 Kolkata, March 21: West Bengal Governor Keshari Nath Tripathi Thursday conveyed his best wishes for the well being of the people of the state on the occasion of Holi and said the festival was an opportunity to reaffirm peoples faith in the country's cultural heritage. Tripathi said the festival of colour was to "strengthen the secular fabric of our country and spirit of friendship-fraternity among all sections of society." "May this joyous festival provide an opportunity to reaffirm our faith in the country's cultural heritage, strengthen the secular fabric of our country and spirit of friendship-fraternity among all sections of society", he said in a statement. Happy Holi 2019 WhatsApp Stickers and Images: Dhulandi Greetings, Facebook Photos and Wishes to Celebrate Joyous Holi. "Holy festivity also marks as an occasion to reset and renew ruptured relationship, end conflicts and rid oneself of accumulated emotional impurities from the past. Holy reassures us of the power of the truth and that is the ultimate victory of good over evil," the governor added.